Two YouTube singers known for their a cappella performances collaborated to perform multiple songs from the musical "Wicked." 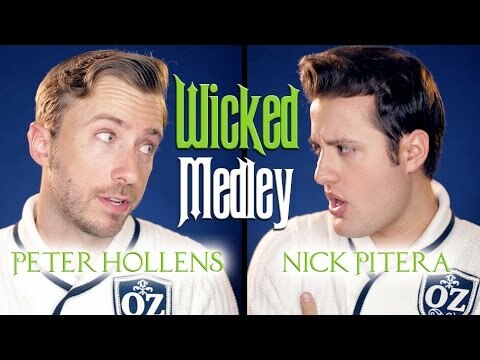 Peter Hollens and Nick Pitera released their "Wicked" medley on July 22, in which they both portray multiple characters. The medley includes "For Good," "Popular" and "Defying Gravity," along with several others. Pitera became well-known on YouTube for his performance as both Aladdin and Jasmine in "A Whole New World." The video was posted in 2007 and has more than 32 million views. Since then, Pitera has performed several other Disney songs and musicals. Hollens has also produced several covers and medleys, including an "Epic Disney Medley" with Alex G.